The Abbasid caliph Harun Rashid (170-193 AH) had a disbeliever arrested for fabricating Ahadith and ordered his execution. 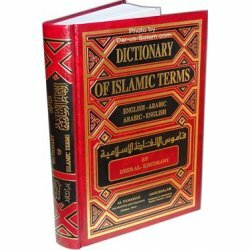 The disbeliever said to the king: "Oh Commander of the Faithful, how will you deal with those four thousand Ahadith I have already fabricated, making lawful things unlawful, and the unlawful lawful, although not a word in those 'Ahadith was ever spoken by Allah's Messenger (S). Thereupon, the king retorted: "O enemy of Allah, how can you escape from Abu Ishaq Fazari and 'Abdullah bin Mubarak? They will seize them out and eliminate them letter by letter." It is a well-known fact that the painstaking efforts of scholars gave Ahadith a high degree of reliability next to Qur'an. 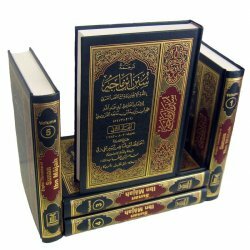 When the Ahadith had been read over carefully, revised, corrected and expounded in the light of the principles of Hadith sciences like Jarh (invalidation), Ta'dil (validation), and Asma'ur-Rijal, the stage for the recording of Ahadith was set. 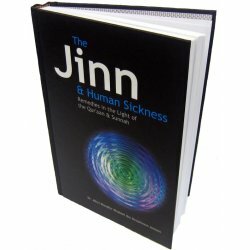 Thanks to the exhausting efforts of Hadith scholars and their deep sense of responsibility, the Muslim nation got, in addition to Sihah Sittah (the Sound Six books of Hadith) a vast treasure that included Musannafat (Hadith compilations according to subject-headings), Jawdmi' (comprehensive books of Ahadith), Sunan (collections of legal and doctrinal Ahadith), Masanid (Hadith compilations according to complete chains), Ma'ajim (compilations arranged according to names of Companions or regions or names of teachers of compilers), Mustadrakat (compilations of Ahadith meeting the conditions of other compilers but not found in their books), and Mustakhrajat (compilations containing Ahadith of other compilers with different chains of narration), the manuscripts of which numbering in thousands researched, edited and furnished with explanatory and marginal notes, exist even today in international libraries attracting the attention of research scholars. 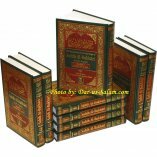 Anyhow, among those compilations, the six canonical books of Ahadith (Sihah Sittah) rank as the centerpiece. I have a wish since long to present the Sound Six (Sihah Sittah) translated into modem English in such a way as to list the inferences and gainful conclusions drawn from each Hadith, to remove any misgiving and misunderstanding, satisfying the mind and soul, and reinforcing the faith. With this noble cause in view, Darussalam has solicited the services of several learned scholars and researchers who are working with zeal on the translation of the Sound Six and writing commentaries on them. All the Ahadith of this collection have been documented, referenced and traced by the great research scholar, Hafiz Zubair 'Ali Za'i. One thing I want to mention is that in these collections, the original Arabic texts of the Ahadith contain complete chain of narrators while in translation, for the sake of simplicity, only the name of the first narrator is mentioned who narrated the Hadith from the Prophet. Ahadith began to be put down in writing even during the era of the Prophet (S), but these Ahadith were no better than compilations individuals. Their purpose was just to put them down in writing, with: regard for order or sequence. Later, during the caliphate of 'Umar bin 'Abdul-'Aziz (99 AH-101 AH), the state undertook this task but most of the works in this field were the products of individual labor. During the second century of the Hijra calendar, famous books like Muwatta' of Imam Malik and Musnad of Imam Shafi were prepared but the third stage recording Ahadith, known as the Golden Age, came only in the third century AH. Many collections were made in this age. 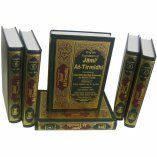 These included the Six Books (Kutub Sittah), popularly known as the Sound Six (Sahah Sitta), Sunan of Ibn Majah being one of them and considered the last of them. 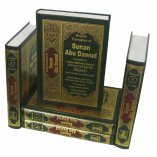 Sunan Ibn Majah began to be included in the Six Books by the end of the fifth century AH. Since then, in every succeeding age, it kept on growing value and importance. With respect to soundness and strength, Sunan Ad Darimi, Sunan Ad-Daraqutni and other books of Sunan were superior Sunan Ibn Majah but they did not gain popularity like Sunan Ibn Majah. 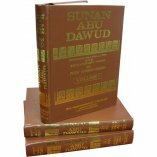 It is to be noted that Sunan is a technical term used by scholars of Had sciences to denote a book of Ahadith relating to legal rulings, from the Chapters of Purification down to the Chapter on Wills in the same order as followed in books of Islamic jurisprudence. 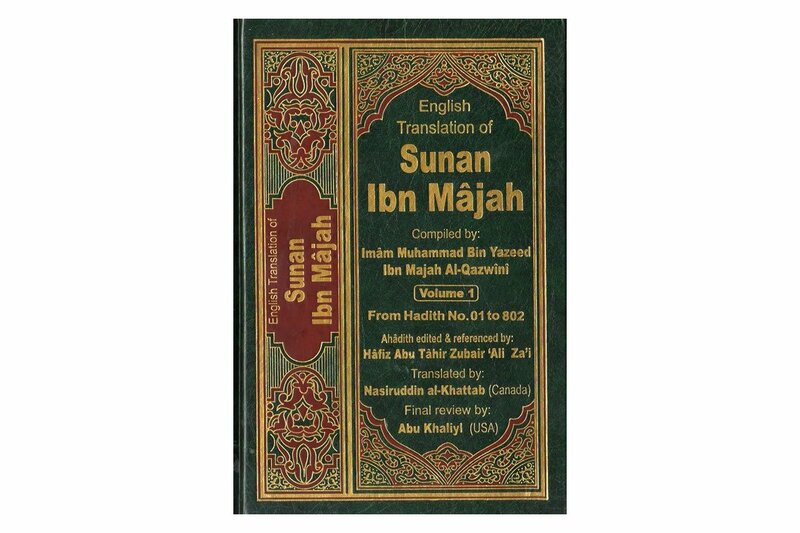 The book, As-Sunan by Imam Ibn Majah was an excellent and beneficial work that stunned the scholars of his time. He himself said about the book: "I showed this book to Abu Zur'ah Razi. He checked it and said, 'I think if people lay their hands on this book, all or most of other great compiled works will become unnecessary." Customer R. on 08/26/2008 I love the footnotes to explain the hadith and its authenticity. 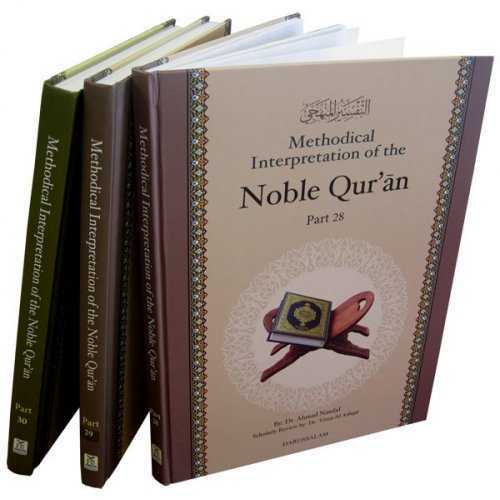 I would like that to be included in the Bukhari collection. Customer R. on 08/26/2008 MahshAllah Brothers and sisters, I highly recommend this collection. A very well set out and organized set. 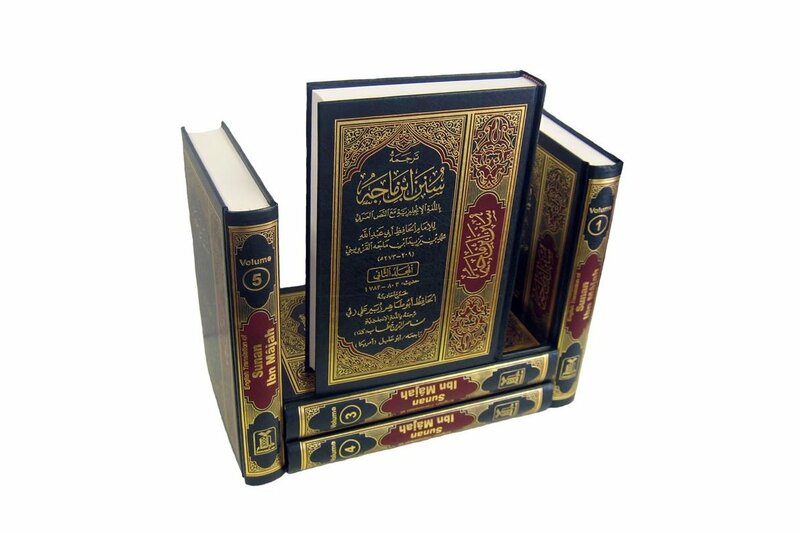 I highly advise everyone to buy this set Insha-Allah. Customer R. on 03/29/2013 Sunan Ibn Majah. Is my most referred to collection that I have. If were to suggest a 'must have' hadith collection to someone. I would instantly refer them to this collection.